Apple cider vinegar in Japan may be something you come across whilst looking around on the Internet in search of home remedy health tips. While the word “vinegar” may be off-putting due to its association with a sour taste or its strong smell, many blog posts and health gurus heap praises on drinking this apparent cure-all “elixir”. So what exactly is apple cider vinegar? In today’s HealthyTOKYO article we will be taking a look at the benefits of apple cider vinegar in Japan and discovering why it is not just some health fad. Apple cider vinegar in Japan, commonly abbreviated as ACV, is a type of vinegar made by fermenting apples. It has long been touted as a natural remedy for all manner of things from skin care to curing a sore throat. Apple cider vinegar in Japanese is called “リンゴ酢” (Ringo Su) or transliterated as “アップルサイダービネガー” (Apuru Saidah Binegah). Health benefits of apple cider vinegar in Japan. The health benefits of vinegar itself are numerous with a storied history going all the way back to about 2400 years ago and the time of the Greek doctor Hippocrates, who allegedly used vinegar to treat patients with colds by mixing it with honey. Indeed, the anti-bacterial benefits of apple cider vinegar are clear, as studies have shown it to be effective in killing off pathogens and bacteria. It is also said to lower blood sugar, help fight against type-2 diabetes, and can help with weight loss due to its appetite suppressing nature. Some studies also suggest that apple cider vinegar can reduce cholesterol, lower blood pressure, and may even combat cancer cells and reduce the size of tumors. Apple cider vinegar is made from apples by using a two-step process. First, the apples are pulverized into a juicy pulp after which yeast is added. The yeast kicks off a fermentation process that turns the sugar from the apples into alcohol. As the end goal is not hard apple cider, the second step in which bacteria is introduced further advances the fermentation process and turns the alcohol into acetic acid, which gives vinegar its tangy taste. When looking around for ACV, it is common to see the word “mother” prominently displayed on some bottles of apple cider vinegar. Simply put, “mother” is a beneficial bacteria that is responsible for 2nd step in the process of making apple cider vinegar. Why chose apple cider vinegar over other vinegars? There are many different types of vinegar including malt, balsamic, coconut, and cane vinegars, perhaps the most common variety being distilled white vinegar. White vinegar is a clear kind of vinegar and has a higher level of acidity as compared to apple cider vinegar. It is commonly used for baking, pickling, preserving, and cleaning or stain removal due to its high acidity. When comparing the two, apple cider vinegar’s health benefits are considered to be superior to those of white vinegars’. How to consume apple cider vinegar in Japan. People who want to include the health benefits of apple cider vinegar into their life generally mix about 10 to 30 ml, or 1-2 tablespoons, into a glass of water and drink this concoction once a day. You can also consider using ACV as a kind of tangy sauce that greatly complements fruit based salads. For an organic choice, consider HealthyTOKYO’s own “Delouis Organic Apple Cider Vinegar”. With over 125 years of experience, the Delouis brand of vinegars has been accredited and awarded various accolades as proof of its high quality, and can be easily purchased from HealthyTOKYO’s online shop. Alternatively, apple cider vinegar in Japan should be available to purchase at most large supermarkets. If you are looking for western brands, you can find them fairly easily on online marketplaces such as Amazon or Rakuten, although they fetch a hefty price compared to the domestic products. is not without its downsides. Consuming too much ACV may lead to problems with digestion, can cause damage to your teeth, and even potentially burn your throat due to its acidic nature, so please keep in mind the phrase, “moderation in all things”, when trying it for yourself. If you have any questions related to apple cider vinegar, how to buy it from the online shop, or anything health related to health in Japan, please take advantage of the HealthyTOKYO site chat feature located on the bottom right of the page. 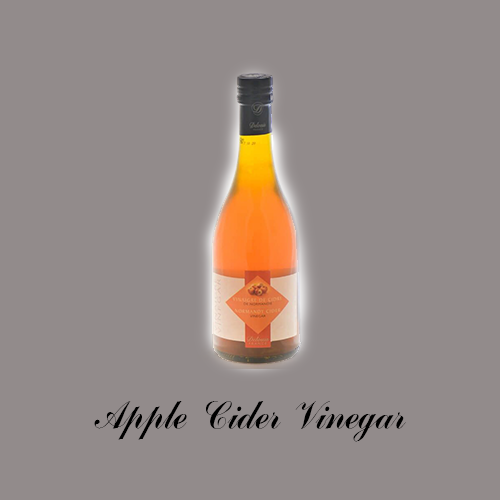 Apple cider vinegar is made from fermented apples and praised for its various applications. People have been consuming vinegar for its health benefits for centuries. Consume 1-2 tablespoons of apple cider vinegar with water daily to reap the rewards.